With chemical sensitivities and allergies so prevalent, protecting your family from unnecessary chemical exposure is understandably high on the priority list! 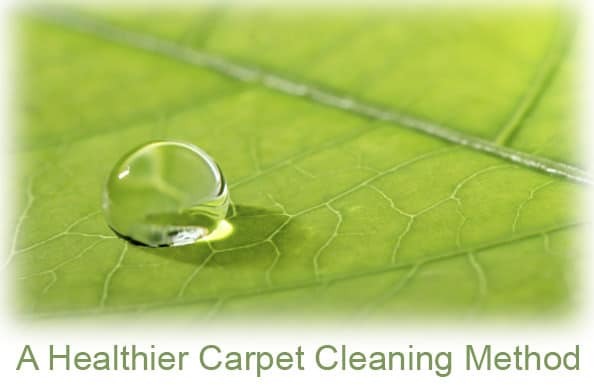 That is why we have a natural carpet cleaning process and use only eco-friendly products. Our 27+ years of experience have allowed us to explore many carpet cleaning agents and methods to discover the safest and most effective ways to remove soiling from your carpets and textiles while leaving a residue-free surface upon completion. Pettyjohn’s chooses to use a biodegradable, fragrance-free formula with plant-based surfactants. Our technicians are trained to use the least aggressive cleaning agents to remove maximum soils and stains. We are able to custom-mix a cleaning solution depending on your specific carpet cleaning needs. If you have allergies or sensitivities, please let us know when you schedule the appointment so that we can customize a special cleaning plan for you, at no additional charge. Our products are environmentally preferable and safe for use on wool and advanced generation synthetic carpets and rugs. Looking for more infromation on indoor air quality and carpet cleaning facts, download them here.